October 2014 - American General Construction Inc.
STEEL, as a building material, is in high demand and is growing at a fast rate within the construction industry. In today’s fast-paced construction industry, builders are looking for ‘speed’, So they turn to Steel Buildings and Fabric Buildings because of their durability, adaptability to prefabrication, erection time, warranties and low maintenance. Developers look for these qualities when choosing the type of building structure to build, that’s why AGC offers Varco Prude Steel Buildings. We are an authorized Independent VP Steel Building Builder. And as an independent builder, we offer State of The Art Design-Build Services in local communities across the United States. 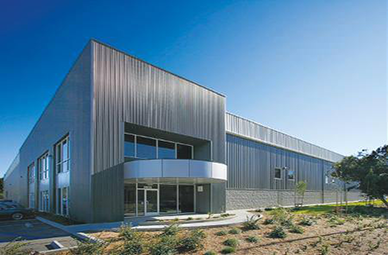 As you go over the numbers, think about all the benefits of using a Steel Building and how AGC can provide you with a custom design-build to meet your specific needs. 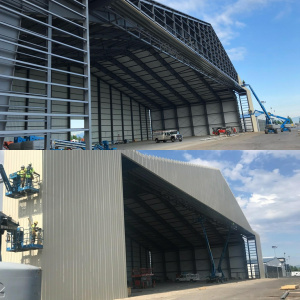 There are so many advantages using a Steel Building and AGC and VP Buildings delivers Steel Buildings at competitive rates without forfeiting any quality control. But also, keep in mind, AGC offers not only Steel Buildings but Britespan Fabric Buildings as well. We area Full-Service Commercial Contractor that Specializes in Design-Build, Turnkey, and Project Management. We have our In-House Prefabricated Wall Panel Manufacturing Wood too! Our Prefabricated Solutions separate us from any Contractor in the Market.